Last edited by Kowy; Jun 28th, 2010 at 11:21. Last edited by danmark_ori; Jun 26th, 2010 at 20:53. 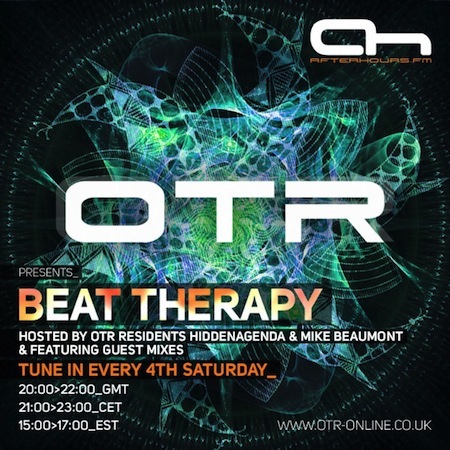 This months show features a live set from OTR residents Hiddenagenda and a guest mix from Australian DJ/Producer DJ Ange. The first hour of the show is the last hour of Hiddenagenda's Live Set from the Nyana Bar, Ilford, London recorded last Saturday 19th June. The second hour comes courtesy of DJ Ange and features her new track Seamless. This is the first time we have incorporated a live set into the Beat Therapy show but it definately wont be the last.